The Elan Wealth Management website is a basic site designed to display the services they offer as well as some infromation about who they are and how to contact them. 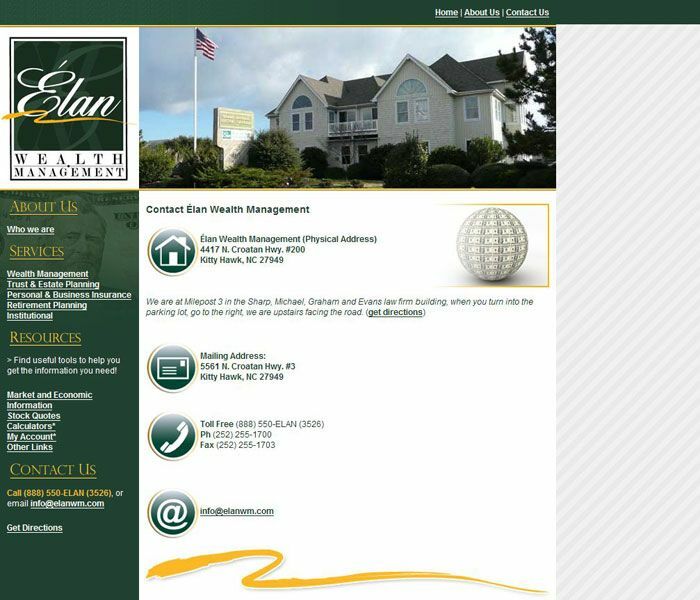 The site design is professional in style and builds off of the color and look of the logo (also designed by Bold Print Design Studio.) 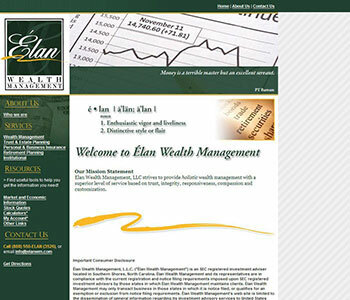 The site features an easy navigation as every page on the site is accessible from the left side menu. 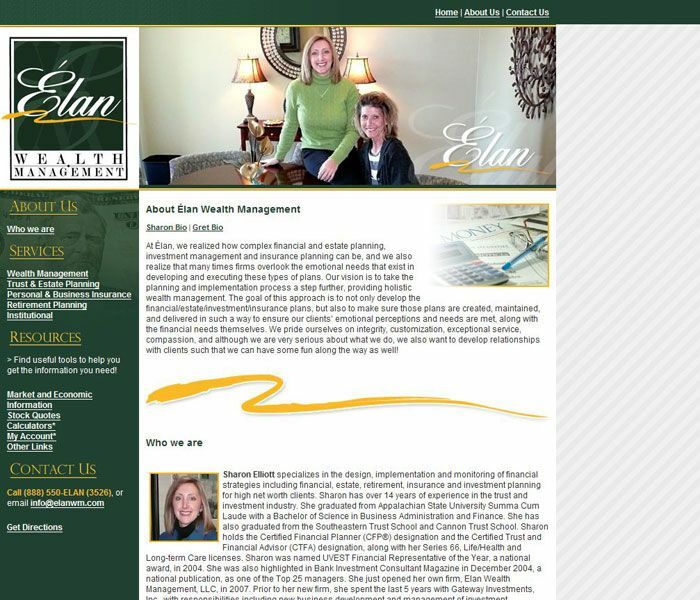 The home page utilizes a bit of flash to power the rotating quotes meant to build confidence in the company. 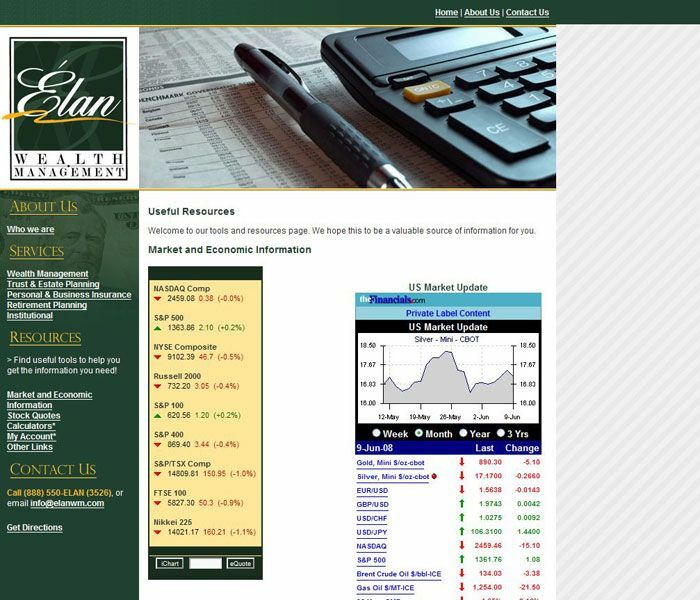 The resources section which includes market and economic information, stock quotes and links to outside sources of market calculators and other useful information is designed to offer valuable resources that keep people coming back and to build trust in the services Elan offers. 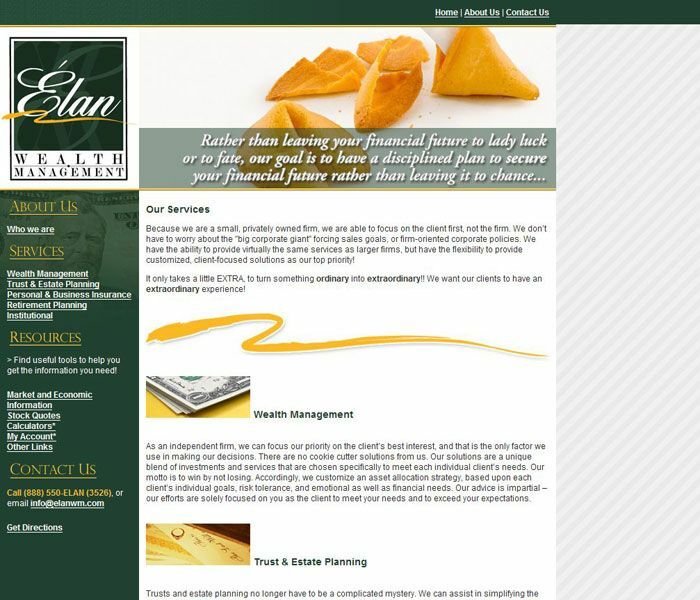 absolutely gorgeous – so professional and high end compared to other sites I have seen, thank you so much for doing such a great job for me!